"We want to map the largest volume of the universe yet, and to use that map to understand how the expansion of the universe is accelerating," said Daniel Eisenstein (Harvard-Smithsonian Center for Astrophysics), the director of SDSS-III. "Our goal is to create a catalog that will be used long after we are done," said Michael Blanton of New York University, who led the team that prepared Data Release 9. The release includes new data from the ongoing SDSS-III Baryon Oscillation Spectroscopic Survey (BOSS), which will measure the positions of massive galaxies up to six billion light-years away, as well as quasars – giant black holes actively feeding on stars and gas – up to 12 billion light-years from Earth. BOSS is targeting these big, bright galaxies because they live in the same places as other galaxies and they're easy to spot. 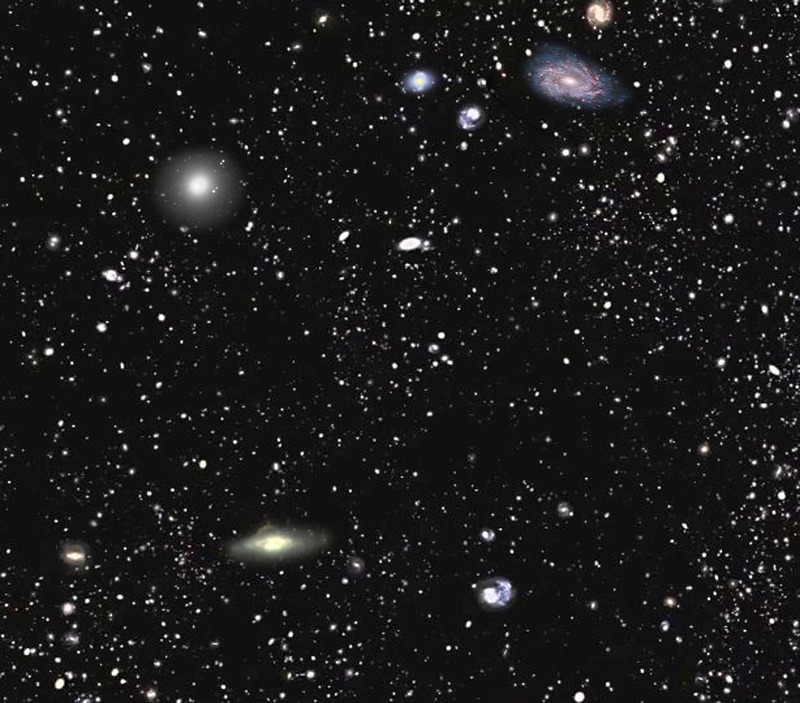 Mapping these big galaxies thus provides an effective way to make a map of the rest of the galaxies in the universe. With such a map, scientists can retrace the history of the universe over the last six billion years. With that history, they can get better estimates for how much of the universe is made up of "dark matter" – matter that we can't directly see because it doesn't emit or absorb light – and "dark energy," the even more mysterious force that drives the accelerating expansion of the universe. "Dark matter and dark energy are two of the greatest mysteries of our time," said David Schlegel of Lawrence Berkeley National Laboratory, the principal investigator of BOSS. "We hope that our new map of the universe can help someone solve the mystery." All the data are available now on the Data Release 9 website at http://www.sdss3.org/dr9. The new data are being made available to astronomers, as well as students, teachers, and the public. The SkyServer website includes lesson plans for teachers that use DR9 data to teach astronomy and other topics in science, technology, and math. DR9 data will also feature in a new release of the Galaxy Zoo citizen science project, which allows online volunteers to contribute to cutting-edge astronomy research.